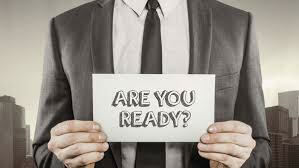 It’s time to start year-end reviews, and clients will be reflecting on their financial situation headed into 2019. Did you know across all age groups and income levels, insured households said they want to review their life insurance coverage annually? If you haven’t met with a client recently, they’re probably looking to review their life insurance to ensure they’ll have the freedom, flexibility, and control they’ll want. Make sure you’re ready to provide the guidance they’re looking for with our year-end planning and quoting tools. Living Benefit Riders on term products are not all the same. From the number of benefit triggers to qualifying illnesses, there are differences that you should consider on which term product to offer. Linked below is a comparison of the carriers who offer this rider on their term products. Download it and keep it handy when determining which product will best serve your clients needs. To just look at cost, may deprive your clients of valuable riders that could add additional peace of mind to their coverage. Download the Competitive Comparison here. Agents more and more are discovering the ease and simplicity of the Interview type of applications for life insurance. With that increase in use, we have seen some issues come up frequently that can slow or stop the process. AppAssist is currently our most popular, but there are others and all of them require that agents still do good field underwriting to make the process for the right cases successful. Attached is a flyer that explains the Do’s and Don’ts of using these programs. If you haven’t taken advantage of this opportunity for your simple term cases, but it is something you are interested in doing, please send an e-mail to Stephanie Georgiev at sgeorgiev@e-upstate.net, who can assist you. We have worked with our carriers to streamline this process as much as possible. Take advantage of this technology to increase your insurance sales! Did you know that only 39% of Americans have enough savings to cover a $1,000 emergency expense? * Life insurance can do more than provide a death benefit. It can also ease a risk that clients are likely to face while they’re still alive. 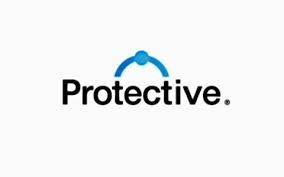 Consider Protective Advantage Choice SM UL. For more details on this product and concept, click here. Safely send us documents on our Secure Portal! Anti-Money Laundering Training is now required by all insurance carriers. Please note that to Log onto the LIMRA site, you are now required to use your National Producer Number. To obtain this number, please click here to go to NIPR’s website. The link for the LIMRA site is here. The carriers are automatically notified. Pass-thru businesses wanted to have relief similar to what was granted to C corporations. So Congress added Section 199A to the Tax Code. You may have heard it referred to as the Pass-Thru Deduction, or described as a provision making 20% of business pass-thru income not taxable. Well, like many other things, that is sort of true, but there is a lot more to the story. Click here for a podcast going into more detail. Check out Andrea’s January newsletter. In this edition: Carrier News, 2019 Updates, Association and CE Information, and The Usual Media. The white paper linked below addresses the growing crisis of who will care for our aging population. Informal caregivers provide the majority of care in the home to those who need the assistance. 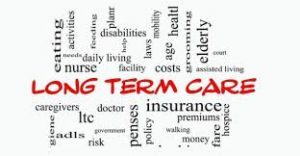 Most traditional long term care products require certified workers to provide care in order to use their benefits. Nationwide has a great solution to this need, and this paper goes into the reasons to consider it. Click here to read this important information. Ameritas has made several changes to their DInamic Foundation products. Among the changes are improved occupation classes for CPAs, and new occupations to be included in their Preferred Occupations Premium Program. They are discontinuing writing policies for all postal service and railroad workers effective June 25, 2018. They have also loosened guidelines on cigar smokers who test negative for nicotine at the time of application. For all the details on these changes, click here for their full announcement. Nationwide’s Indemnity LTC rider may be the answer for some of your clients. When you open the conversation, you can talk about health care planning or wealth transfer. There are many ways to address this issue. Consider Nationwide’s product and click here for details on one of the more creative solutions available. Upstate Special Risk has been a vital part of my marketing plan for almost a decade. With imagination, insight and an appreciation for the importance of detail, the risk management experts at Upstate have been instrumental in my firm’s growth. Embracing a model of holistic planning has greatly benefited my clients, and has led to my company’s growth through an increase in referrals and introductions. While I can’t be an expert in every aspect of wealth management and planning, my partnership with Upstate Special Risk can bridge that gap and move my clients forward in their pursuit of financial security! Liz Casper and her assistant Stephanie recently helped me with a life case and their efforts were outstanding. I’d met with a new client and together we completed a review of his family’s investment and insurance accounts. Together we decided on doing a 1035 exchange on his life contract to more closely align with his short and long term needs. I won’t get into all the messy details, but suffice it to say we ended up in quite a pickle. After a drawn out application and issue period it appeared that the old policy was irrevocably canceled and the new policy was about to be issued without the design and features we had initially intended. NO ONE was happy! There was a lot of discussion and Liz ended up expertly pleading our case to the new company. The outcome ended up better than our original plan design as the client was able to omit his 1st year premium. This helped tackle a near term cash flow emergency which had cropped up during the underwriting process. A lot of FMO’s might very well have thrown in the towel, and I would have ended up with egg on my face, but Liz and Stephanie didn’t quit. Three cheers for Upstate Special Risk for both their knowledge and determination! Ever since I have made the move to Upstate our Life and Disability production has quadrupled. We aren’t doing anything different but they are. Instant on line term quotes. Rock solid advice and markets for the harder to place risk. Superior support and knowledge. All of this allows me and my staff to feel 100% confident asking our clients for the business knowing that we will get great rates, fast turn around and phenomenal support. Thank you Andy and all the team at Upstate. Our firm has partnered with Upstate Special Risk for the past several years to fulfill our clients’ insurance needs. Our experience has been positive in every way. Each individual with whom we have had contact has been professional, caring and has provided prompt service. We are kept informed as to the status of each case and receive phone calls or emails with updates. We could not be more impressed with the attention we are given. We highly recommend Upstate Special Risk for all of your insurance needs. Upstate Special Risk Services offers prompt, friendly, professional services for my life insurance clients. I especially appreciate the regular follow ups to let me know how the applications are progressing. I have done business with USRS for years and am very happy with the services they offer to my agency and my clients. The purpose of this letter is to communicate my sincere appreciation for the extra effort put forth by Upstate Special Risk. I have been dealing with Upstate for over 20 years and it has been my experience that when a company, like Upstate provides quality service of the highest caliber, they tend to be the competing organization I seek to place my business. As all the people involved are true assets to the organization, I commend Andy Kalinowski for the value these special individuals provide to my Agency. Based on the service I’ve received from Upstate Special Risk, I will not hesitate to recommend your organization to all of my business associates. I have worked with LifeMark/Upstate Special Risk Services for almost 5 years. The support has been amazing since our first meeting. The help and guidance of the folks at home office is second to none! They continuously help me grow my business and my knowledge through phone conversations and email as well as GFS and Firm Element trainings. Their approach as fiduciaries and trusted advisors is refreshing and nothing short of exemplary. I am looking forward to our growth together over the next several years.